When I began thinking about my family’s summer vacation last March, I quickly honed in on Europe because I wanted a cultural experience for our children. At the same time, I did not want the pressure of having to sightsee and be on our feet all day, every day. 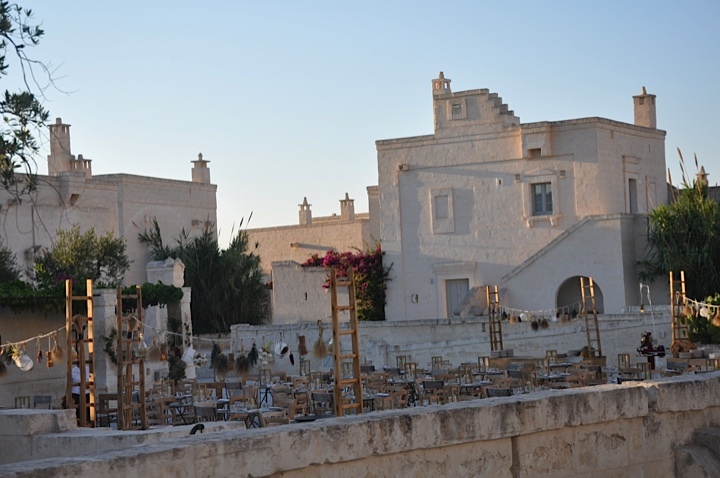 While browsing through hotel options in Europe one day, I came across Borgo Egnazia, located in the Puglia region of Italy. Immediately, I was drawn to Borgo’s beauty and proximity to so many day trip options. The hotel looked pristine, sophisticated and child-friendly – just the trifecta I had hoped to find. Read on for the skinny and continue reading for the details. 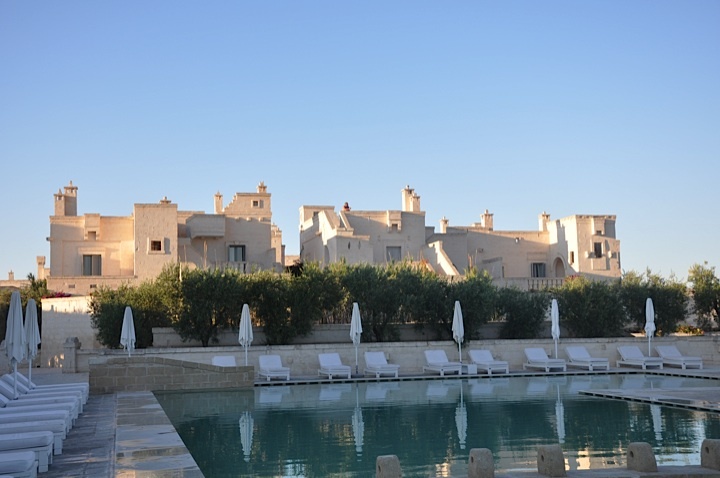 Accommodations: Borgo Egnazio in Fasano, Italy (Puglia region – in the heel of the country) (http://www.borgoegnazia.com/). Traditional rooms, villas and casetas available. Spa, tennis, golf, beach, multiple pools and restaurants, including one adults-only pool and restaurant. Activities: Swimming at the hotel’s beautiful pool and outings to nearby historic and UNESCO world heritage sites. Tennis, golf, pool, beach, spa, biking all available at or near hotel. Good to know before you go: Although the coastline and the Adriatic Sea are beautiful, this stretch of Italy is more about dramatic coastlines than about perfect sandy beaches. The hotel has two terrific kids clubs with activities daily to accommodate kids of all ages. 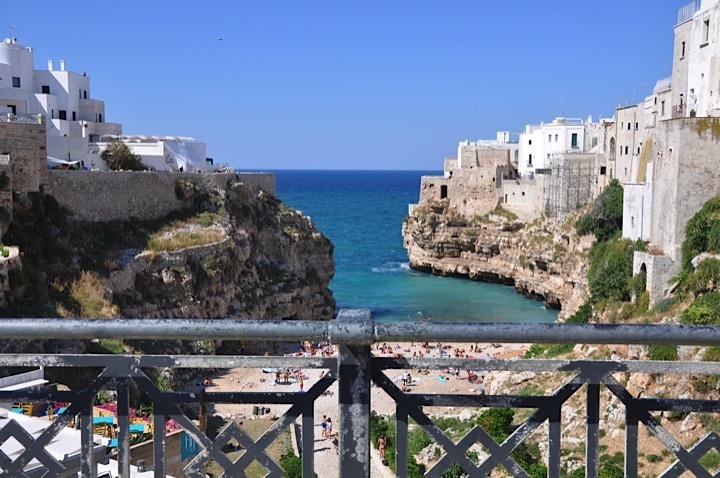 We flew from JFK to Rome overnight and then took a second, one-hour flight from Rome to Bari, which is one of two main airports in Puglia (the other is Brindisi). 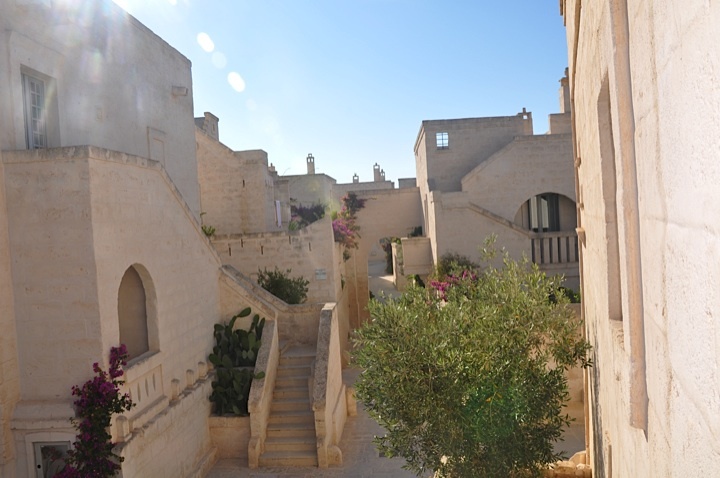 After arriving in Bari, drove a rental car 50 minutes to our hotel, Borgo Egnazia (http://www.borgoegnazia.com/). When we finally made it to the dirt road leading to the hotel, surrounded by olive trees on both sides, we had a good feeling. Moments later we were greeted by a warm staff and an exquisite property. The hotel is traditional looking on the exterior with classic modern, luxury interiors. It is modeled after a small Italian village with private villas and casetas built around a central piazza, or public square, where events such as dinner and live music, movies and themed festivals take place almost nightly. Our caseta was a two-bedroom, two-bathroom house with a living and dining room and three huge, private outdoor terraces. We were centrally located between the hotel’s beautiful spa, gym, tennis courts and bikes, which are available for guests’ use. The hotel also has a golf course across the street and two nearby beaches accessible by foot or by shuttle from the hotel entrance. We spent half of each day relaxing at the hotel and the other half exploring one of the many nearby, historic towns, several of which are UNESCO world heritage sites. 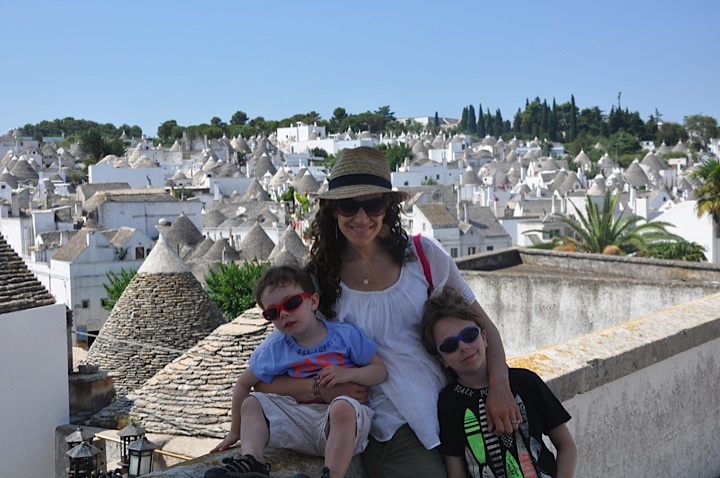 Two of our favorites were Alberobello and Polignano a Mare. Alberobello is known for its trullis, small circular homes made from dry stone with conical shaped roofs. We had a terrific time strolling through the more historic portion of the town, stopping often to talk to locals and listen to live music in small parks. 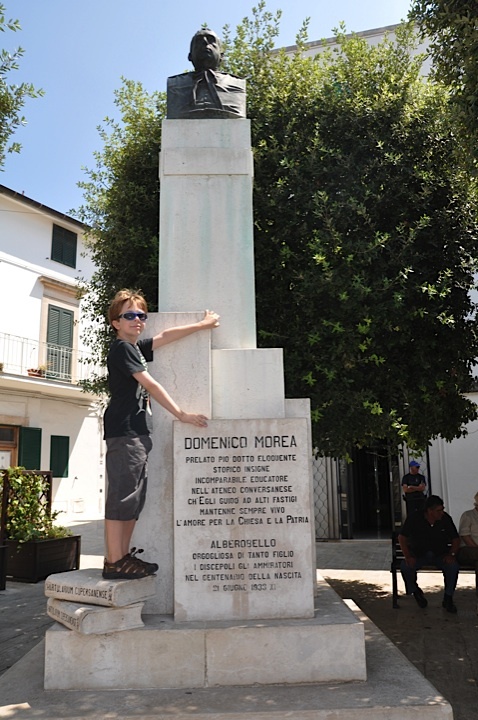 We also visited a museum here, Trullo Sovrano (http://www.tripadvisor.com/Attraction_Review-g580227-d1860833-Reviews-Trullo_Sovrano-Alberobello_Province_of_Bari_Puglia.html). Housed inside the only two-story trulli we saw, it gave a great perspective on what life might have been like long ago in Alberobello. There is a very touristy side to Alberobello too, with tons of boutiques and restaurants housed inside of modern-day trullis. We all enjoyed walking in and out of so many trullis! 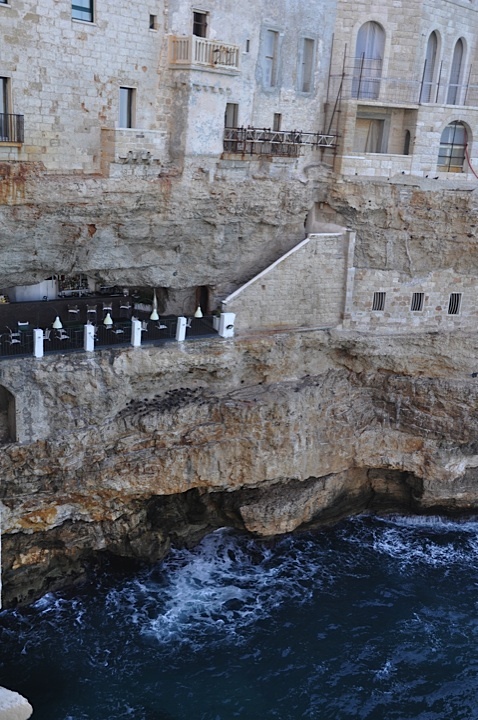 Polignano a Mare is a historic town perched on a cliff above the Adriatic with stunning views of the sea around every corner. We spent hours exploring its narrow, windy roads. We also visited a nearby fishing village called Savelletri, where we were able to walk down to the sea with gelatos in hand! Each of these towns had its own special charm, architecture and authenticity. In the few hours we spent in each place, we were able to get a glimpse into what life is like for the locals there. The food in Puglia was delicious and fresh everywhere, and very simply prepared. We ate plenty of orecchiete, or ear-shaped pasta, locally caught fish, pureed fava beans with chicory, all of which are traditional “apuglian” dishes. We had a few especially memorable meals. One was at a restaurant in Alberobello called Il Poeta Contadino (http://www.ilpoetacontadino.it/en/), which my husband and I went to one evening while the kids were back at the hotel with a babysitter. Set inside a converted stall, it is rustic and charming with beautiful arched stone ceilings and chandeliers throughout. The menu was traditional apuglian, and our meal was just perfect. We had an unforgettable meal at Anticalama (http://www.anticalama.it/), located in a converted olive oil press about 15 minutes from our hotel. 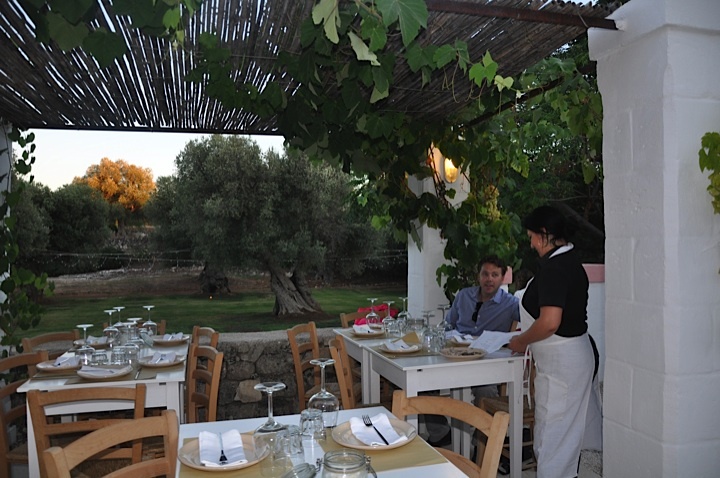 We had a multi-course meal of delicious pastas, grilled vegetables and fish on a grape vine covered terrace overlooking an olive grove with trees up to 700 years old. 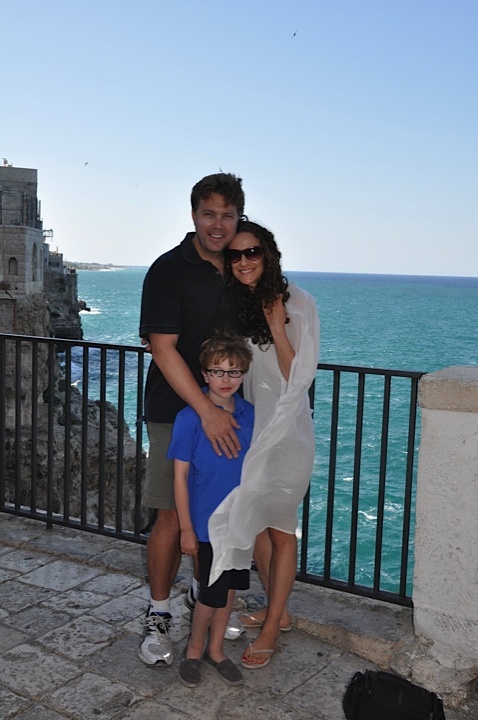 I wish we had more time in Puglia – this beautiful region offers so much more than we were able to cover in a week. Thank you, Puglia, for hosting us this summer! We miss you! 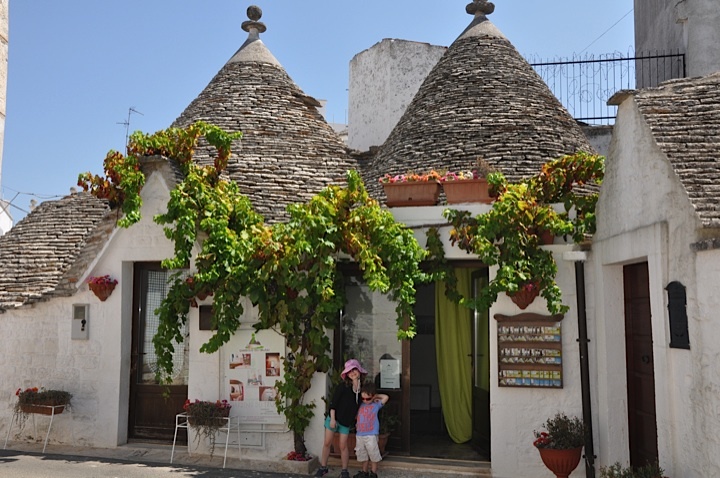 This entry was posted in Italy and tagged Alberobello, Borgo Egnazia, Puglia region by travelesq. Bookmark the permalink.